Creating material is giant! Whether you like pen and paper, voice memos, typing on your computer or some combination of all three, get your ideas down to keep your inspiration up. 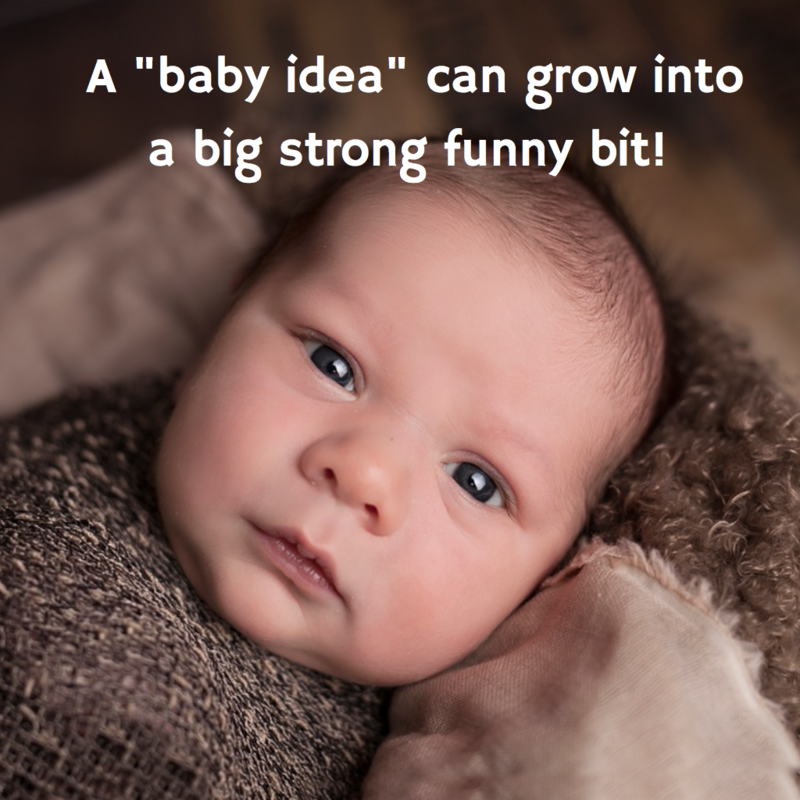 Capturing your concepts give your “idea babies” room to grow, so find a writing process you enjoy (or a kind of torture you can tolerate.) Put “writing” in your calendar or to-do list. It all begins with writing. Every idea you do write will not be what you want, but every idea you do not write won’t get shaped and eventually shared. Once other people have been exposed to your idea babies, you can find out if what you’re thinking is equal what you’re saying. 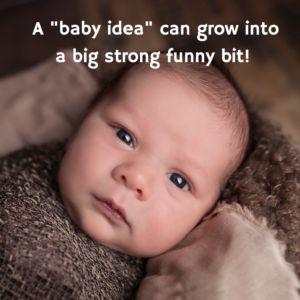 Once you’ve taken your idea babies out to play, bring them home and make them better. Give ’em more special sauce, a little less verbiage. Add to the idea, subtract from it, twist that idea around and spin it in the air like pizza dough. Or look at it in a mirror, turn it upside down, and approach it from the other direction. Add an extra angle you just dreamed up. Or a tag. Or topper add-on that might connect it to another human brain better than the first time. In short, rethink, revise, rewrite. Or…does the joke work exactly the way you want? If so, give yourself a little pat on the back (or head) or toast to your rising career. Then go right back to work improving the next joke on your list. The four steps above—in theory and in practice—allowed me create jokes, a set, an act, a career, and a comedy life. If you’re starting, (and the starting never really stops), hunker down and follow the four steps: Write. Perform. Analyze. Rewrite. Oh, and repeat.